You can use this method when no stations are present on the route. 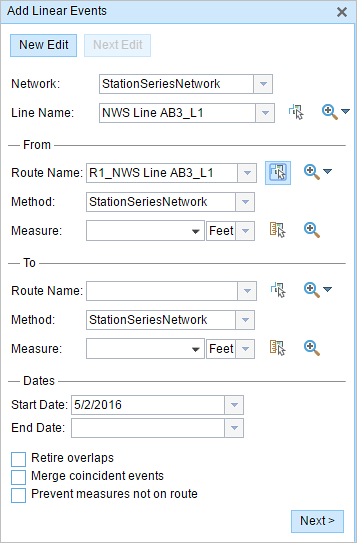 You'll create a starting or base station on the route and specify the stationing values for measures. The measures will be located at an offset from the starting station. As shown in the example below, a starting station (yellow star) is temporarily located, and a station value is provided. The event's start or end location is then identified using an offset distance (in station values) from the starting station. When the new linear events are created using this method, the stationing data is translated to routes and measures for storage. 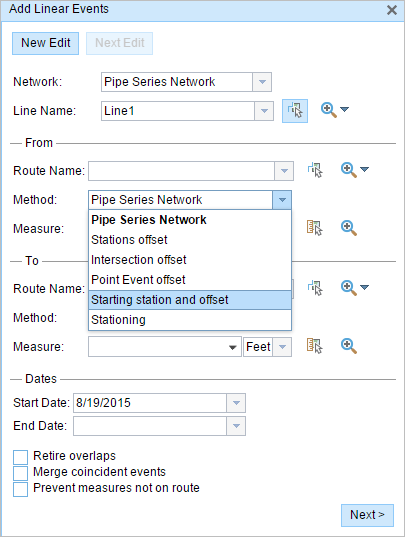 In the From section, click the Method drop-down arrow and choose Starting station and offset. 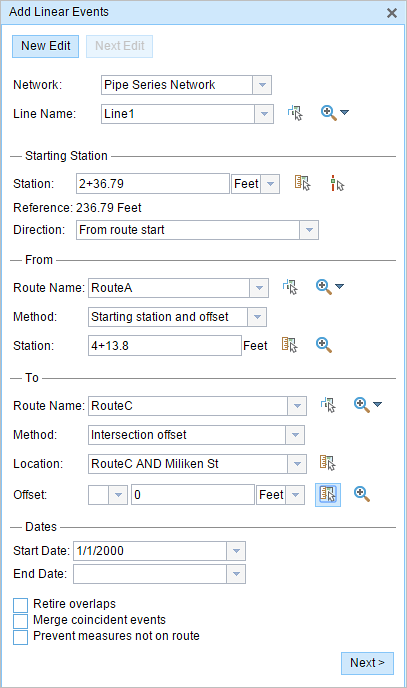 In the Starting Station section, for Station, click the Select a Location on the Map tool and select the location of the starting station on a route in the map. The location of the starting station can also be established by inserting a DGN or a DWG file containing the survey information or engineering drawing into the map. Go to the Map tab, and in the Contents group, click the Add Data button. For more information, see Adding DGN or DWG data. A yellow star indicates the location of the starting station on a route in the map. The LRM measure equivalent of the location is displayed in the Station field. For example, if the LRM is milepoint, the number of miles at that location will be displayed. 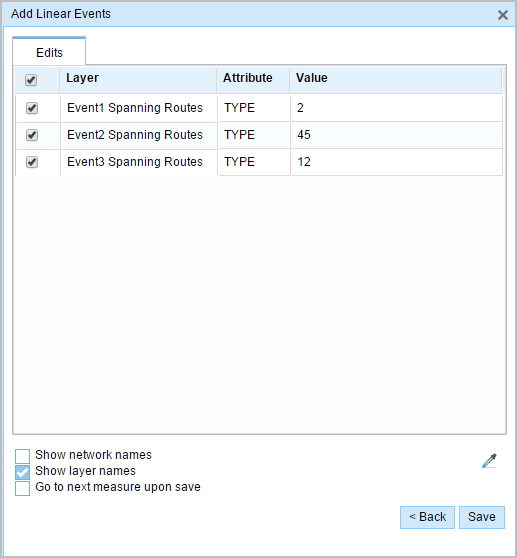 The Route Name text box is populated in the From section. Type the station value of the starting station. Click the Direction drop-down arrow and choose the direction. This selection indicates the direction the station values increase along the route compared to the direction of calibration of the route. The From measure location will be placed at an offset from the starting station. A green cross symbol appears at the selected location on the map. In the To section, click the Method drop-down arrow and choose an offset method. 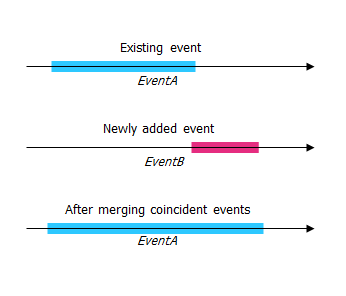 You can use separate methods to locate the From and To measures of the events. 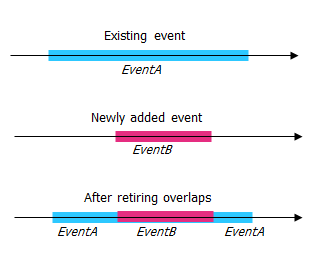 For example, by locating the To measure of the event using an intersection offset as shown in Step 6.